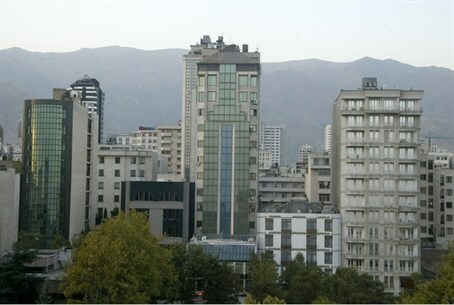 Mojtaba Ahmadi, commander of Iran’s Cyber War Headquarters, was found shot dead northwest of Tehran. The head of Iran’s cyber warfare program has been shot dead, triggering further accusations that outside powers are carrying out targeted assassinations of key figures in the country’s security apparatus, reports the Telegraph. Mojtaba Ahmadi, who served as commander of Iran’s Cyber War Headquarters, was found dead in a wooded area near the town of Karaj, northwest of the capital Tehran. Five Iranian nuclear scientists and the head of the country’s ballistic missile program have been killed since 2007. The regime has accused Israel’s external intelligence agency, the Mossad, of carrying out these assassinations. Ahmadi was last seen leaving his home for work on Saturday. He was later found with two bullets in the heart, according to the Telegraph, which cited a report on a website linked to the Revolutionary Guard Corps. “I could see two bullet wounds on his body and the extent of his injuries indicated that he had been assassinated from a close range with a pistol,” an eyewitness told the website. The commander of the local police said that two people on a motorbike had been involved in the assassination. The Facebook page of the officers of the Cyber War Headquarters confirmed that Ahmadi had been one of their commander and posted messages of condolence. Subsequently, a statement from the Imam Hassan Mojtaba division of the Revolutionary Guard Corps said that Ahmadi’s death was being investigated. It warned against speculating “prematurely about the identity of those responsible for the killing”. Western officials said the information was still being assessed, but previous deaths have been serious blows to Iran’s security forces. Tighter security measures around leading commanders and nuclear scientists have instilled a culture of fear in some of the most sensitive parts of the security establishment. The last victim of a known assassination was Mostafa Ahmadi Roshan, a chemist who worked in the uranium enrichment plant at Natanz, who died when an explosive device blew up on his car in January last year. Besides Israel, Iran has also blamed the U.S. and Britain for killing its scientists. Both countries have denied involvement in killing Iranian nuclear experts. Israel has not officially commented, but after Roshan’s death, the IDF spokesman Brigadier General wrote on his Facebook page, "I do not know who brought the Iranian scientist to account, but I certainly won't shed a tear for him." The death of Ahmadi, a leading specialist in cyber defenses, could be an extension of this campaign of subterfuge. Iran has been accused of carrying out a number of cyber attacks detected in the West. The Revolutionary Guard has also been accused of lending its expertise to Syria’s regime, helping it to hack Western targets through a body known as the Syrian Electronic Army. The killing of Ahmadi coincides with a new diplomatic effort by President Hassan Rouhani, Iran’s newly elected leader. He has voiced the hope that Iran’s confrontation with America and the leading Western powers over its nuclear ambitions can be settled within months.